Compiling a bucket list of exotic destinations that you must visit is a task that should not be taken lightly. It is important that you know what will appeal to you before you go there. Here are 5 exotic destinations to add to your bucket list. 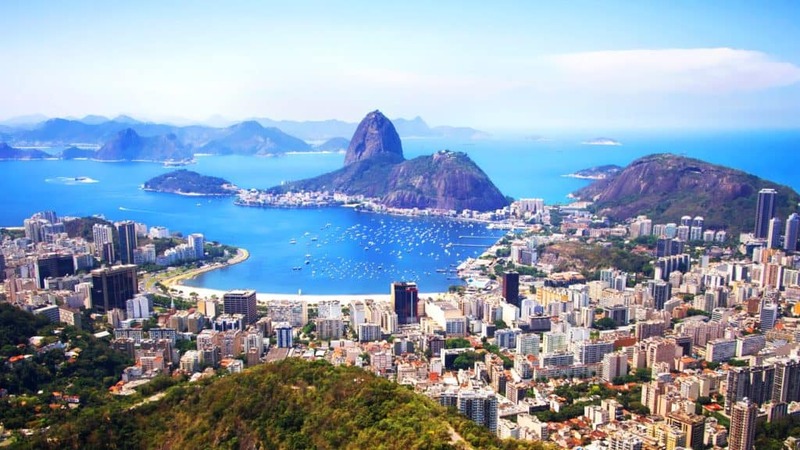 There are many stunning destinations in Latin America which should be added to your bucket list, and Rio de Janeiro in Brazil is one of the best ones. Rio de Janeiro is best known for its 30 metre Christ the Redeemer statue that dominates the skyline providing stunning views of the entire city below you. Rio is popular for its fames Ipanema and Copacabana beaches. The carnaval festival is a popular attraction with samba dancers wearing flamboyant costumes and the party goes on for five long days. Be sure to visit the neighbourhood of Botafogo for a hip nightlife scene. Jaipur is the capital of the State of Rajasthan in Northern India and is also known as the Pink City for its vibrant colours of its houses in the city. Take a luxury tour of Jaipur and visit splendid palaces, lakes and forts. Be sure to visit the Jal Mahal and Nahargarh Fort which stands on the top of the Aravali hills overlooking the city of Jaipur. Explore the wonders of Kanak Vrindavan which is garden with fountains and a temple. The Amer Fort, Jaigarh Fort, City Palace, Jantar Mantar and Hawa Mahal are some of the other places you should not miss while visiting this beautiful city. Dubai is an opulent city known for its abundance in everything from shopping, dining and architecture. Dubai International Airport is one of the world’s busiest airports, so be sure to arrange your transfer in advance to save you from waiting in queues. With over 60 malls to explore and world class golf courses to spend your time on, you need to make the most out of all your time in Dubai. You can go on a desert safari, harbour cruise, helicopter ride and hot air balloon ride to watch the sun rise over the desert. You can visit the 7 star hotel of Burj Al Arab for luxurious dining or the Burj Khalifa, a sky scraper with an observation deck to watch the view of the city below. Be sure to visit the Mall of the Emirates to indulge in skiing and shopping. Spend a day at the Wild Wadi Water Park to have a fun day outside with several rides and slides. There are lots of stunning areas to visit in Croatia, and Dubrovnik is one of the most well-known. It’s instantly recognisable fortified walls were built in the 16th century around the old town and it is also known for its beautiful beaches and late night beach bars and beachside clubs. You can visit the grand Dubrovnik Cathedral with baroque styled architecture and artwork. Visit the Museum of Modern Art to get a glimpse of the local art work. You can take a cable car ride at Srđ which is a 412 metre low mountain with the Fort Imperijal at the top offering spectacular view of the walled city. Galapagos Islands are known for varieties of Flora and Fauna that are not found anywhere else in the world. You can take a guided tour to explore the diversity of its species and their habitats on this archipelago of volcanic islands. You can also see the giant tortoises that are 100 years old and close to 900 pounds that live on these Islands. Birds like blue footed booby, cormorants and albatross can be seen on bird watching treks. Visit the lava tubes located on the Santa Cruz Islands and visit the Charles Darwin Research Station to see how his work is still continued to this day. Great destination.. Thanks for sharing this post this is really very nice post! I really want to explore it. You captured really awesome pictures in your travel trip. Great post, I have been to some of the mentioned places. Will surely make a plan for the rest destinations. Thanks again for sharing these wonderful post. I’ve only been to Dubrovnik on this list, but am hoping to cross off a few more this year actually 🙂 . Rio has always been a dream of mine, and the Galapagos sound so incredible (for obvious reasons). Fun post! Nice information on the blog and choice of destination. Beautiful city very energetic in colors. Nice article Jaipur is the capital of the State of Rajasthan in Northern India and is also known as the Pink City for its vibrant colours of its houses in the city, You haven included Srinagar Kashmir its one of the most beautiful cities in India, hopeful for next time! Rio De Janeiro is such a beautiful place. Simply love it. Not sure I would consider Dubrovnik an exotic destination anymore. It’s pretty on the tourist trail. And, was very expensive when I was there a few years ago. But, for Game of Thrones fans…they did filming there!